For September, we're sending you our last favorites for summer as we head into cooler weather. We're celebrating the last fruits of the summer, and savoring their flavors. This is an exciting time of the year, where we begin winding down the summer and get excited for fall. 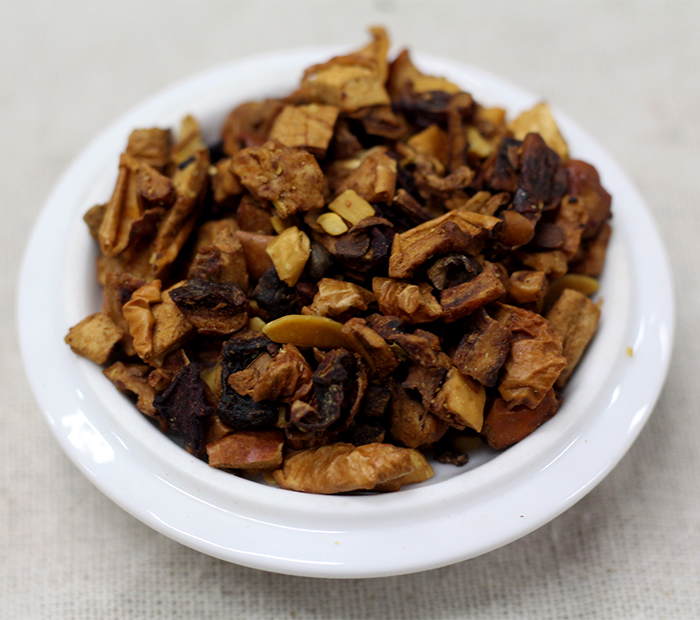 One tea we're really looking forward to sharing with you is our Black Tea Essentially Summer. It's the essence of summer, in a cup of tea! 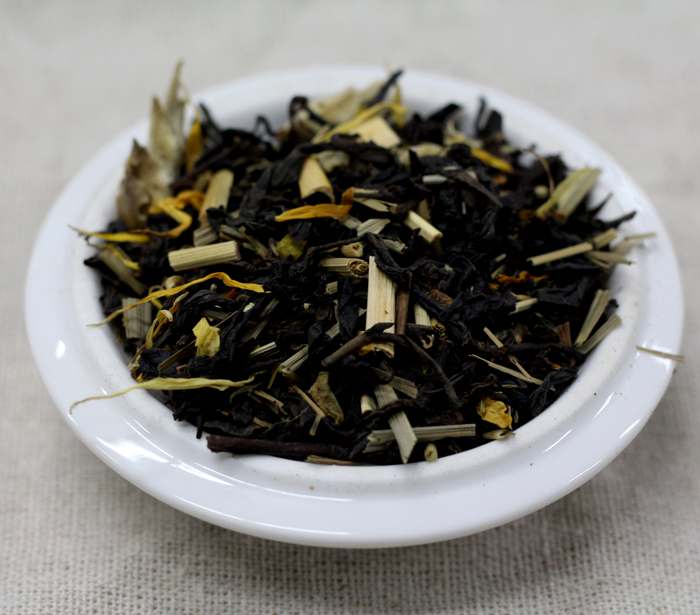 The perfect black tea with notes of citrus. It's perfect for whenever you need a reminder of what summer tastes like. 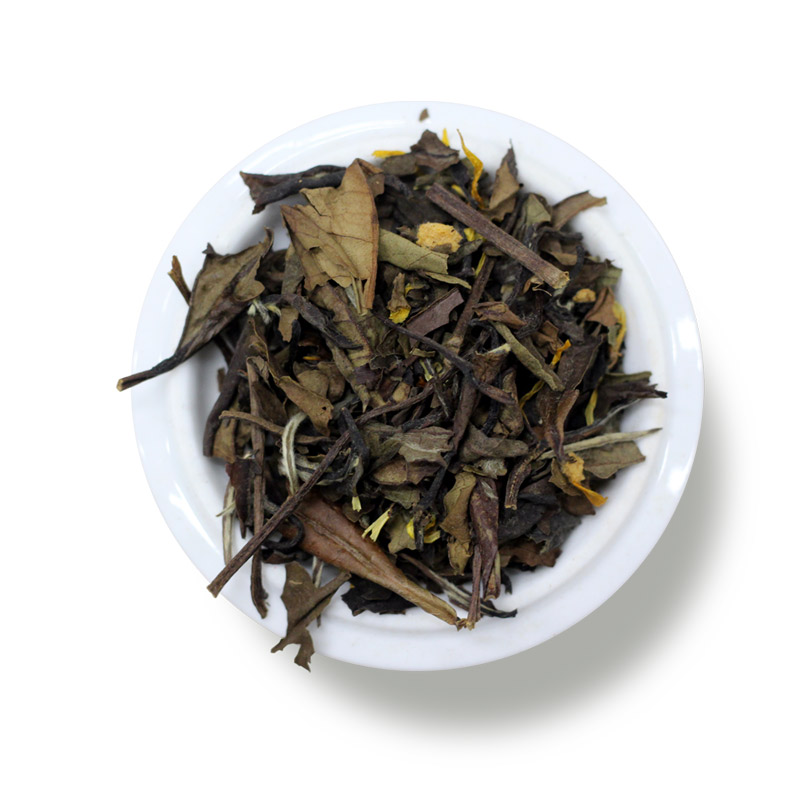 Black Tea Smooth Operator, is a really special blend of dark tea (partially fermented, but not quite pu'erh), green tea, and white tea. It has a slight melon note and is touched with lemongrass. It's very easy to sip, and has become an office favorite! Our Adventurers (more premium boxes) will receive a very unique green tea, but I won't spoil it. You'll have to read below! We're happy to do a pre-shipment Tea Replacement on any teas that have allergen-related concerns, or even something you know you won't love. 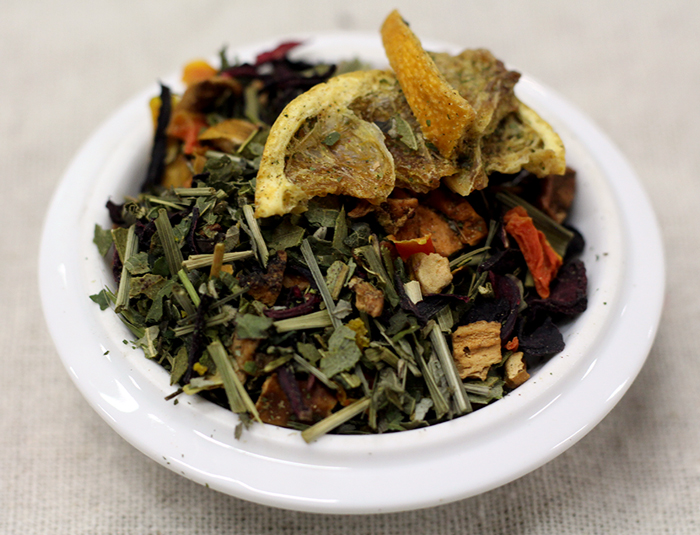 Keep in mind that our service is all about tea discovery, so if you're on the fence about a tea, give it a try first. We're happy to send you a replacement in next month's box. 2 black teas, 2 teas that vary. 40g. 1 cup/day. 2 no/low caffeine teas, 2 teas that vary. 40g. 1 cup/day. 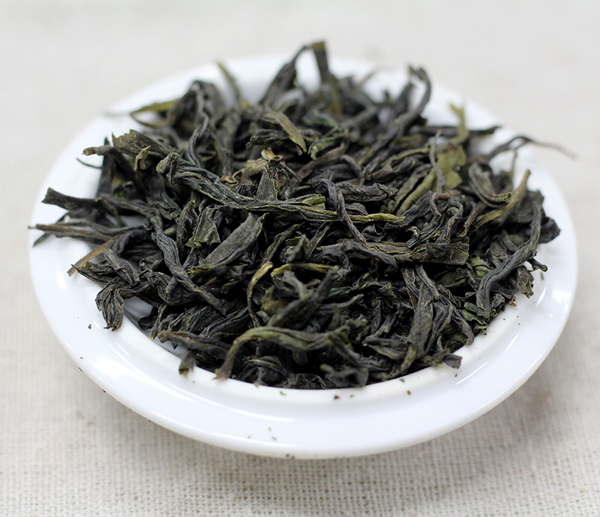 from: China, grown in the hills of Wuyi Mountains, in Fujian Province. 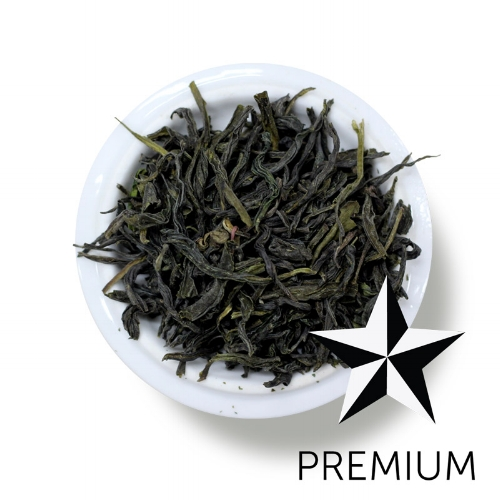 This tea has a strong seaweed nose, a delicate toasty taste, with a great, almost creamy mouthfeel. Grown in the highlands of the Wuyi Mountains at 2,000 ft. elevation, it boasts a nice long finish. The initial steep has a balanced, savory and sweet finish. The following two resteeps are less buttery, but still maintain the integrity of the flavors. 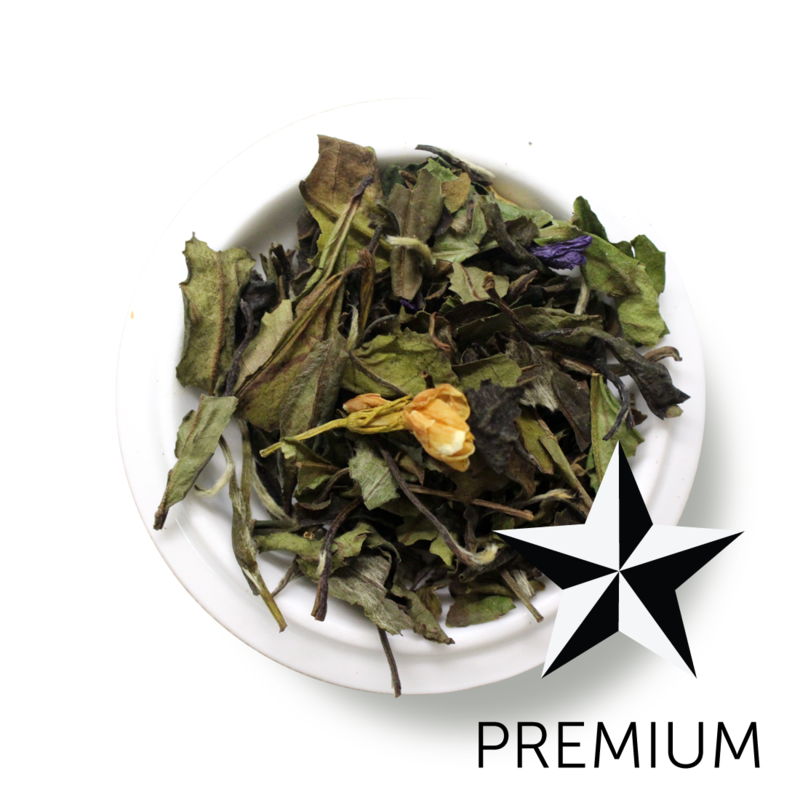 Bai Mu Dan, or White Peony, is a slightly more fruity White tea, more so than Silver Needle, but not as strong of a flavor as Shou Mei. It has just enough depth to pair beautifully with vanilla, bergamot, and jasmine blossoms found in this blend. We recommend using our teapot method for this tea, as it will bring out more depth of flavor, and keep the delicate floral oils from escaping during steeping. Be sure to also follow temperature instructions for this tea, as you could easily singe it! It smells of apples and cinnamon, with a nice nuttiness from the almonds. 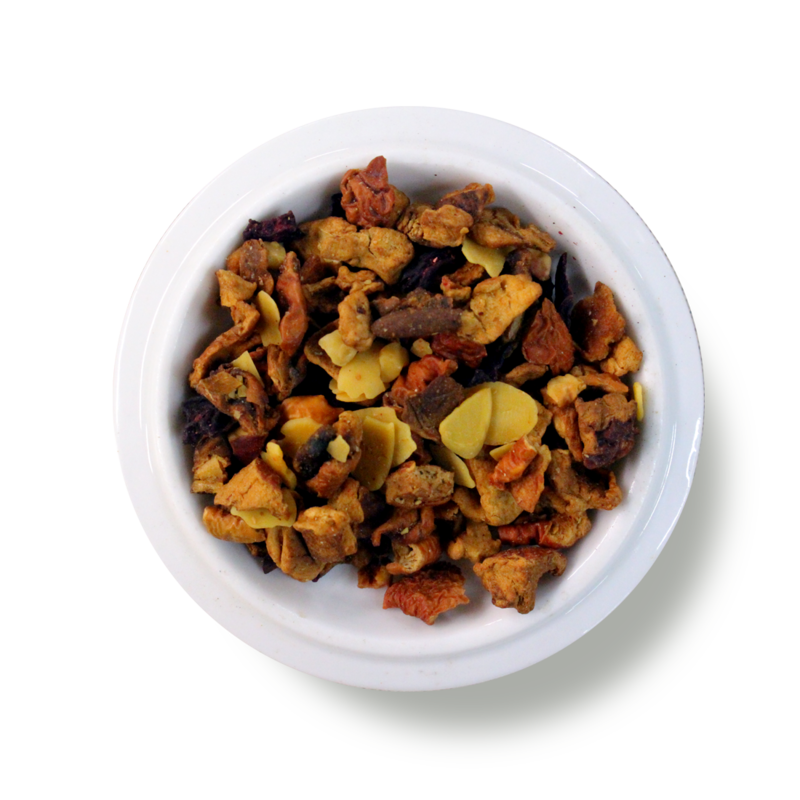 As you drink this tea, the sweet apple and nuttiness builds, and really doesn't need anything added to make it shine. This tea reminds us of fall, baking apple pies. It's deep berry color from the beetroot develops over the 9 minute steeping time, making it truly appreciated once ready. This tea screams summer, and if you want something that tastes fantastic hot or cold, depending on the weather this month, it's just right. 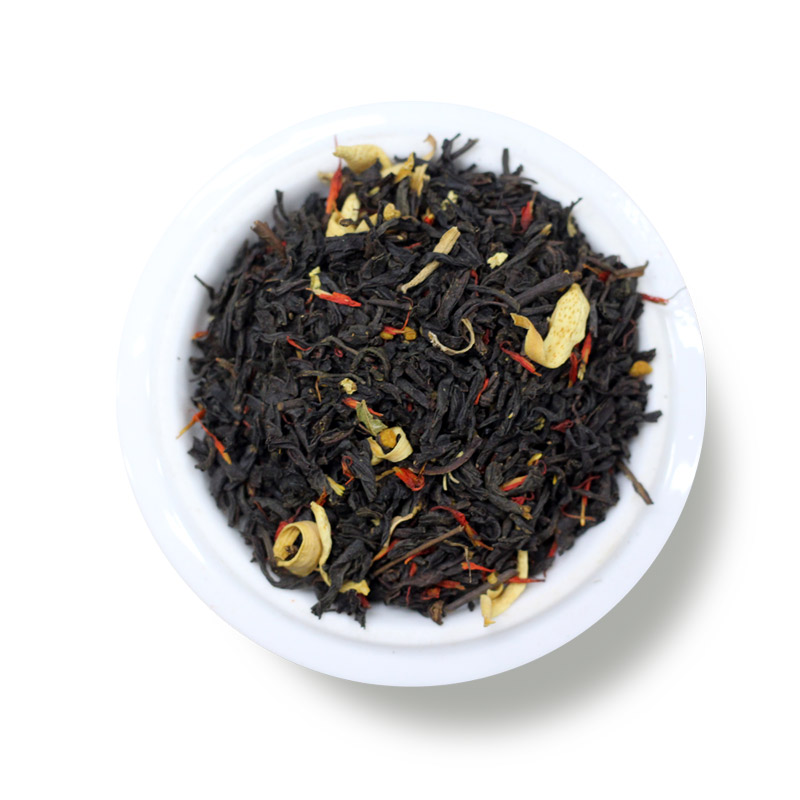 It's a smooth black tea, with a great mouthfeel, and a punchy fruity finish. Mango, peach, orange zest, orange blossom... somehow it all comes together in one sip. Included in Adventurer, Discoverer Black, Explorer Black. 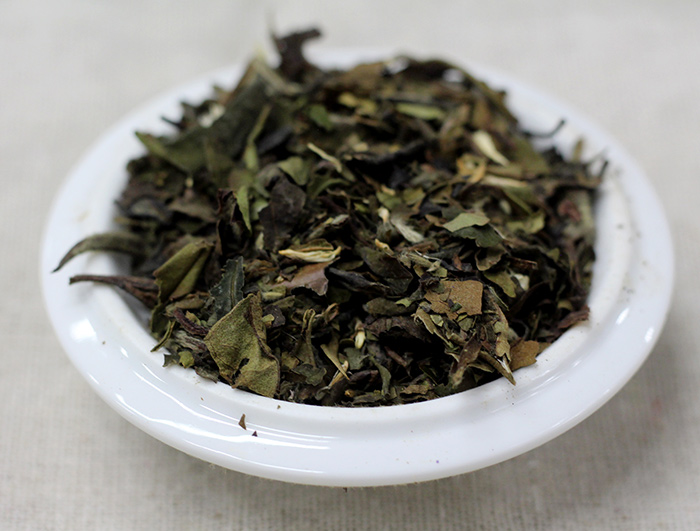 This unique tea brings together three different tea types: green, white, and dark tea. 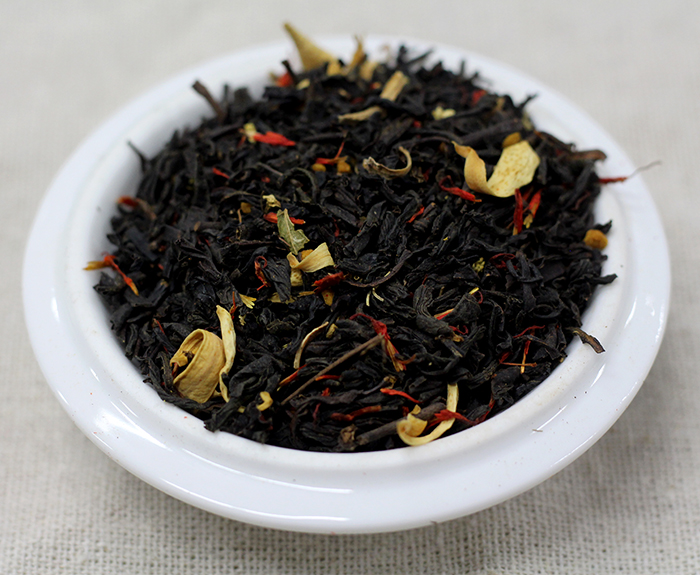 Dark tea is not to be confused with a typical black tea. 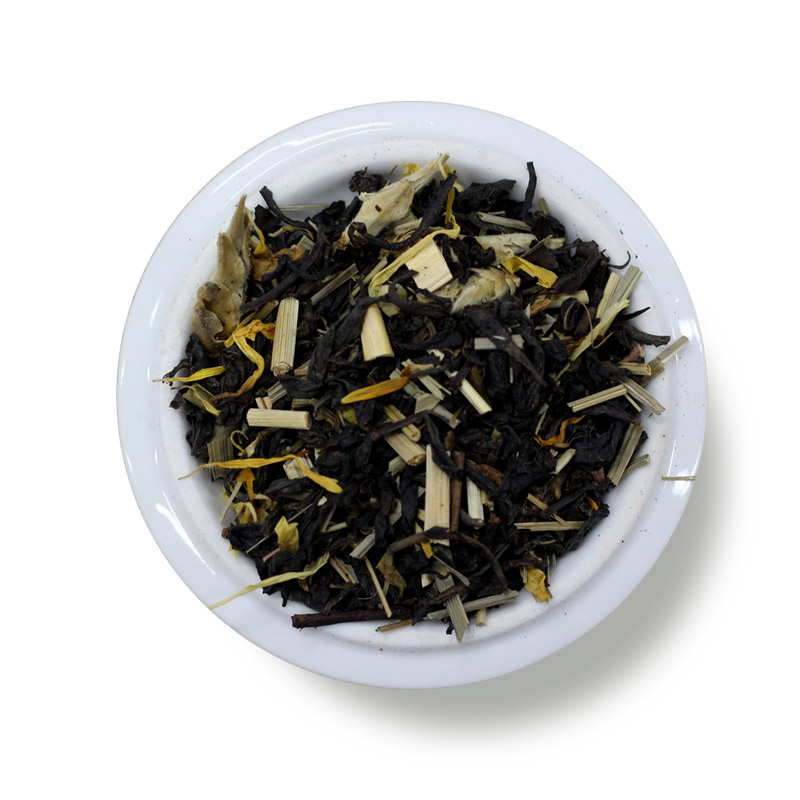 Although the name of this tea is "Black", to make it simpler we stuck to a traditional name. Dark tea is a partially fermented black tea (not made in Yunnan, where all Pu'erhs come from). It's lighter, and less pungent than traditional pu'erh. Flavor-wise, this is a light and smooth blend, with sweet melon throughout the sip. Included in Discoverer Black, Explorer Black, Discoverer Low Caffeine, Explorer Low Caffeine. This is the perfect tea as an introduction to pu'erh teas. Pu'erh is only produced in southern Yunnan Province in China. Large tea leaves are used to make this type of tea, as opposed to smaller leaf types used for other teas coming from China. It goes through microbial fermentation, where other types of tea do not. This is a loose variety of pu'erh, where other types are pressed into discs or ball shapes. 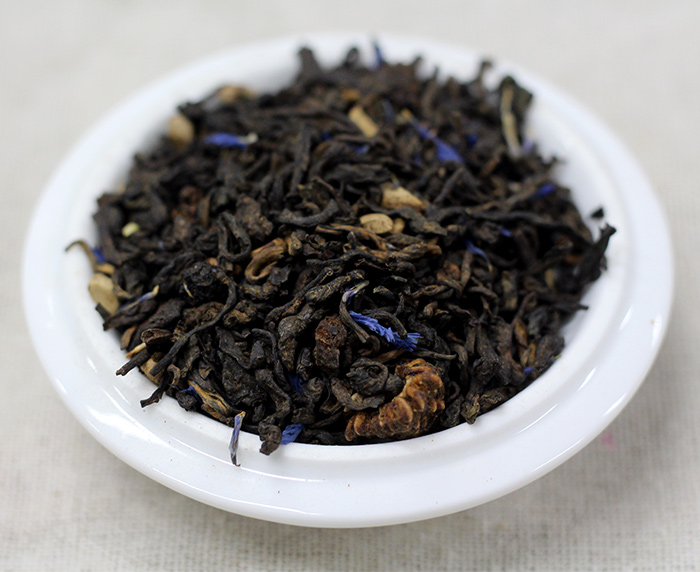 If you've never had a pu'erh before, expect an earthy aroma, and a smooth finish. You'll enjoy the contrast of sweet fruit (think raspberry, blueberry and strawberry) with darker, deeper notes. Included in Discoverer Black, Explorer Black, Discoverer Low Caffeine. 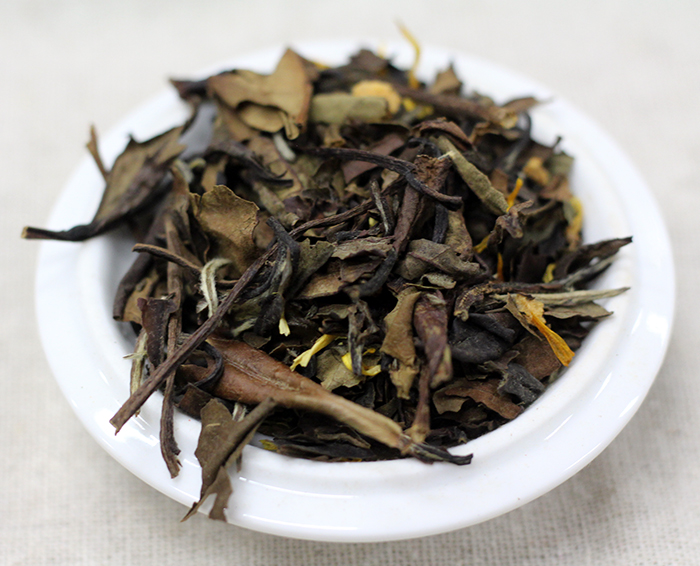 This tea also features a bai mu dan, or White Peony base. This is an earthy white blend, lightly kissed by peaches. It's a truly simple, yet delightful tea to enjoy hot or over ice. Be sure to follow temperature instructions for this tea, as you could easily singe it! Included in Discoverer Black, Discoverer Low Caffeine, Explorer Low Caffeine. 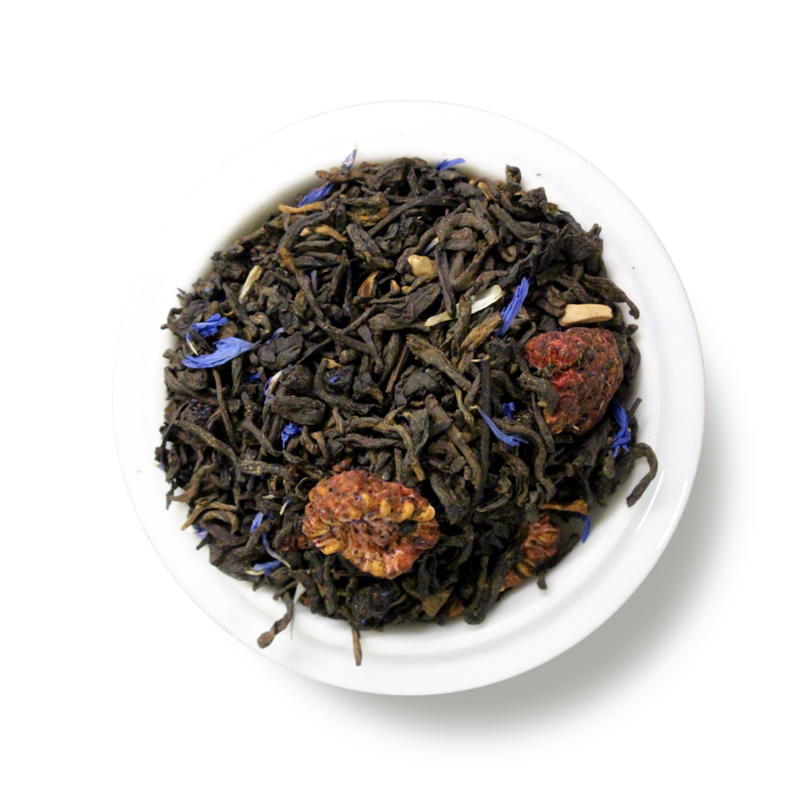 We love the fruity citrus backbone of this tea, and the visually stunning beetroot-pink color. 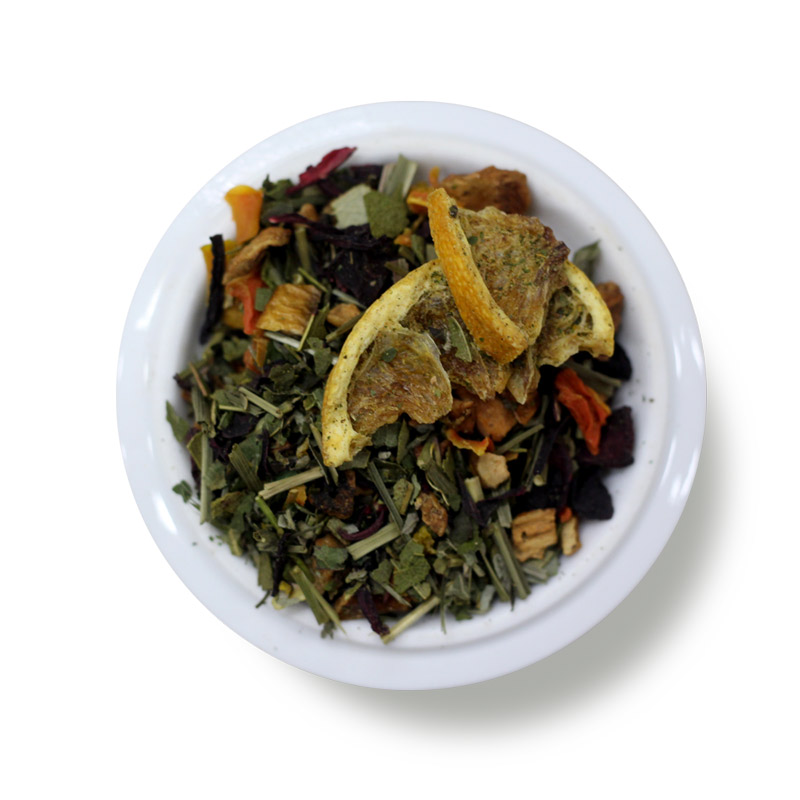 This tea starts and ends with punchy grapefruit and blends with sweet apple, tangy tangerine, and grassy eucalyptus notes. You'll also enjoy the stomach-soothing properties of lemongrass. Included in Discoverer Low Caffeine, Explorer Low Caffeine. Share your Thoughts, and ask questions! We'd love to hear more about how you made your teas, or if you have questions for our tea drinking community! Don't be shy, we're all here to learn from each other.